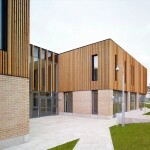 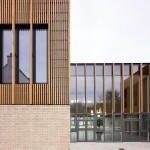 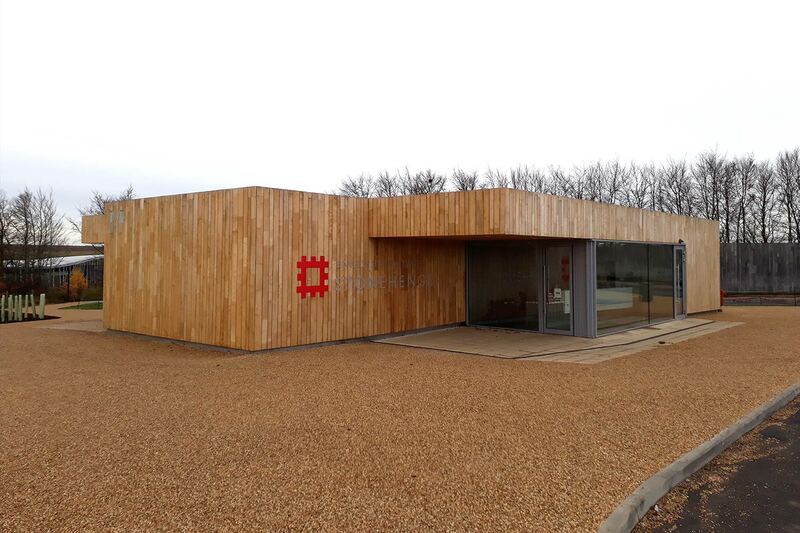 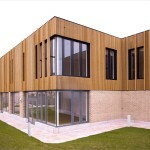 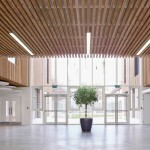 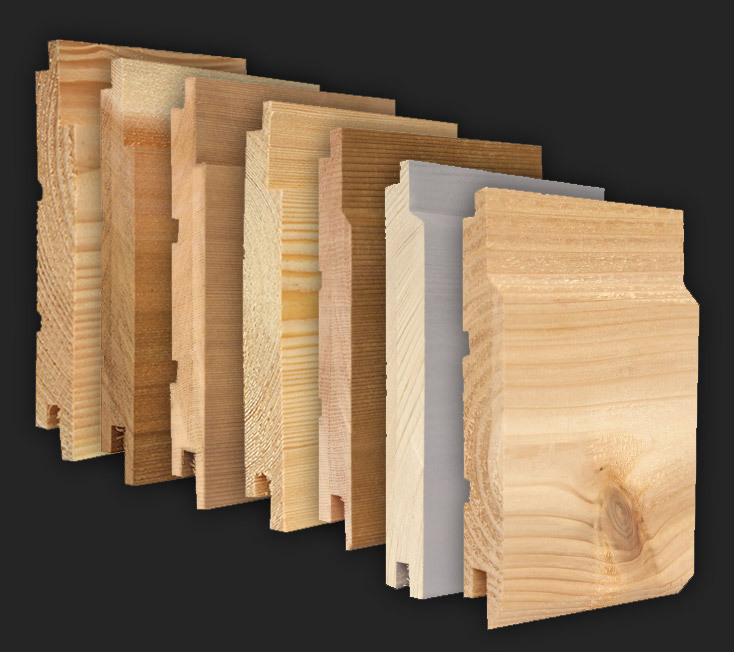 Timber Cladding: European Redwood MicroShades “Brunnea” Euro Class B Fire-Treated. 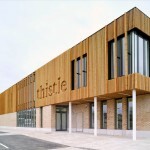 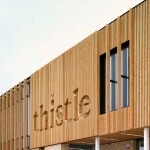 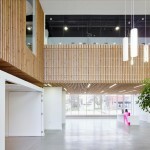 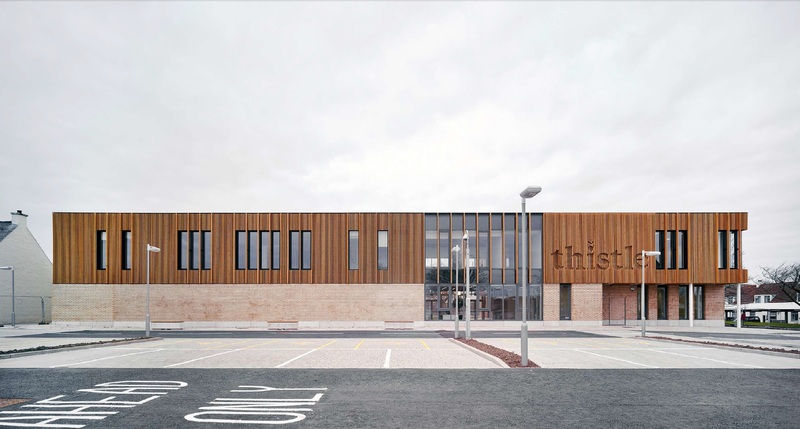 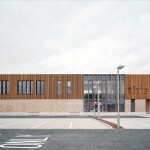 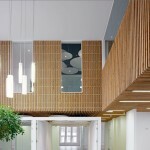 Interior and exterior cladding for The Thistle Foundation’s new Health & Wellbeing Centre. 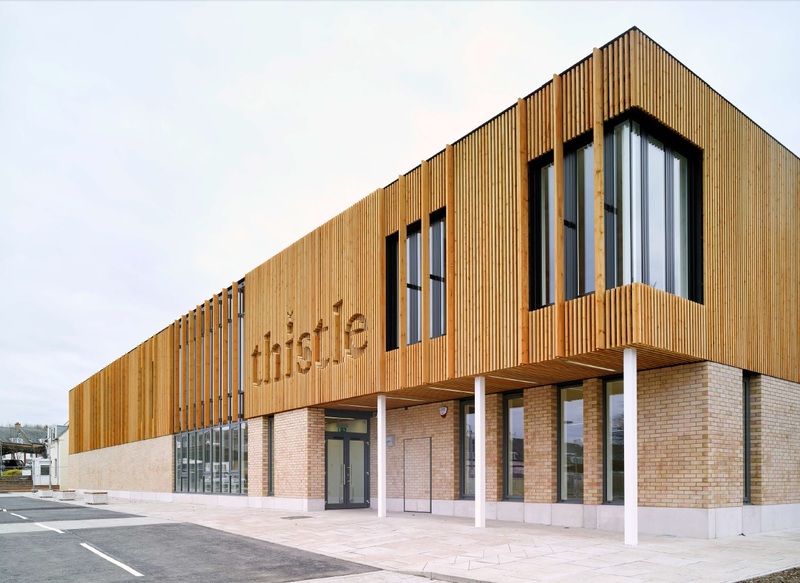 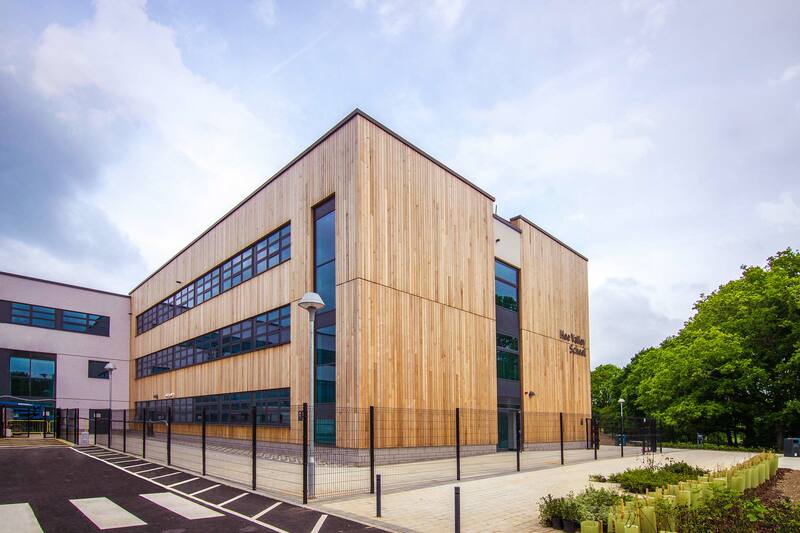 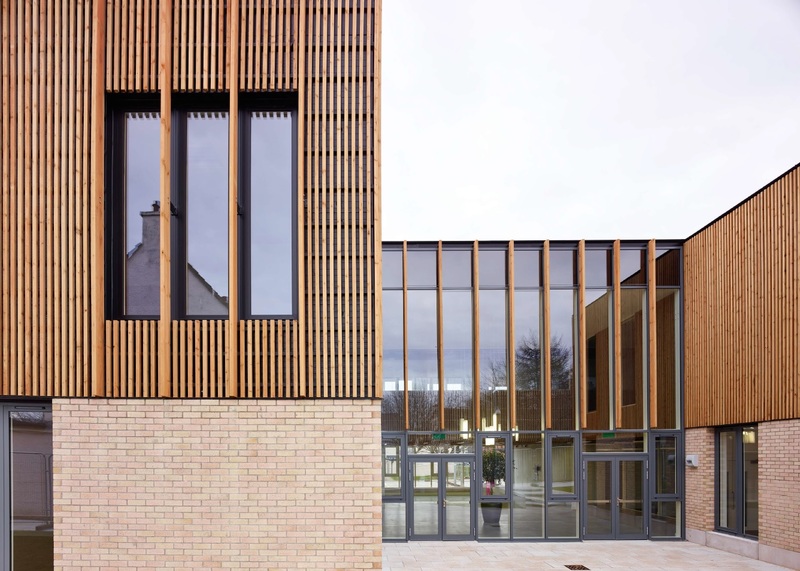 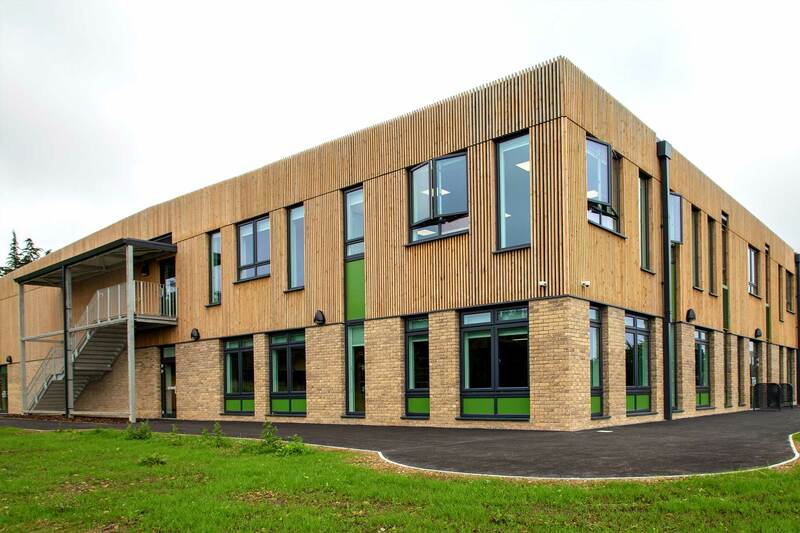 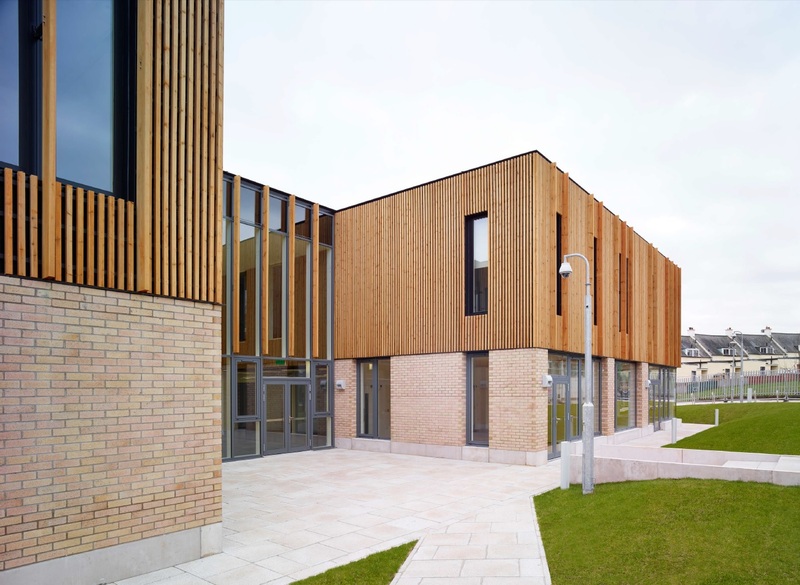 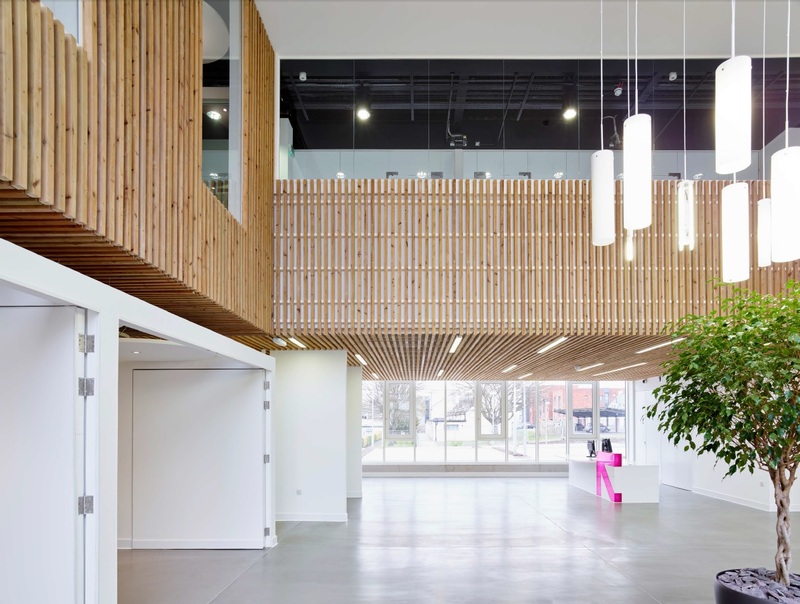 This project required a number of different sections sizes of timber, the external cladding saw the varying depth of timber used. 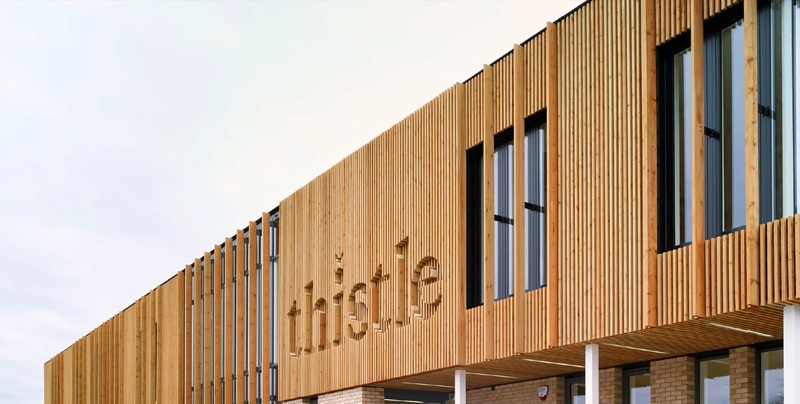 The Thistle Foundation is a charitable organisation who offer support and assisted living to those in need. 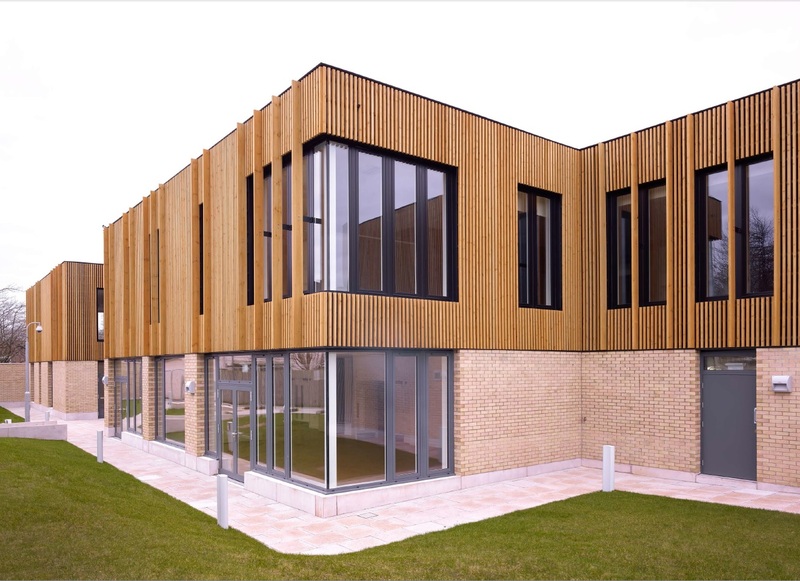 The Tudsberry Centre offers care facilities and equipment as well as providing much needed office space and training rooms for the charity. 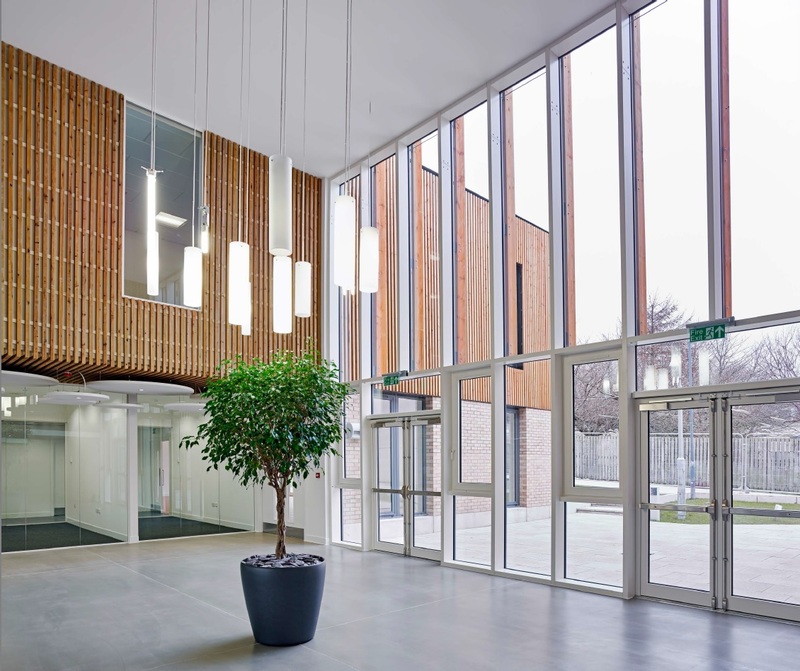 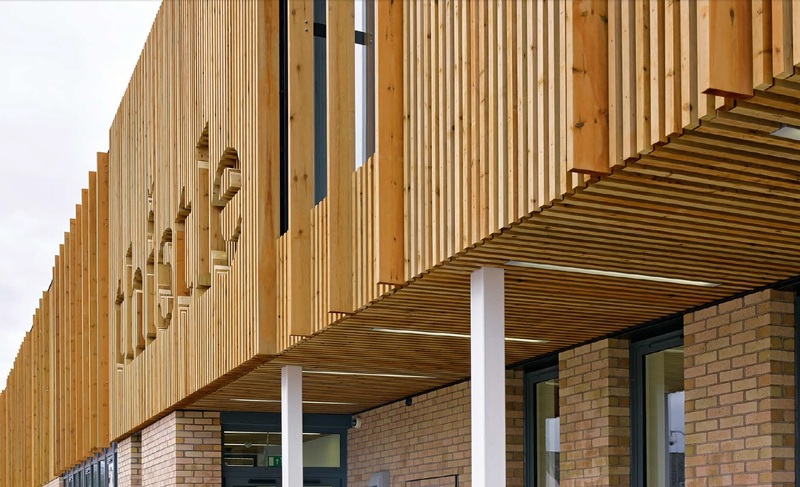 3D Reid have created a very contemporary design, on the exterior of the building with louvres and signage all created from the same timber in various section sizes. 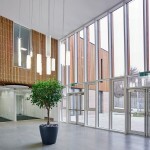 The same material is continued throughout the building, into the atrium and often visible though the large windows around the building. 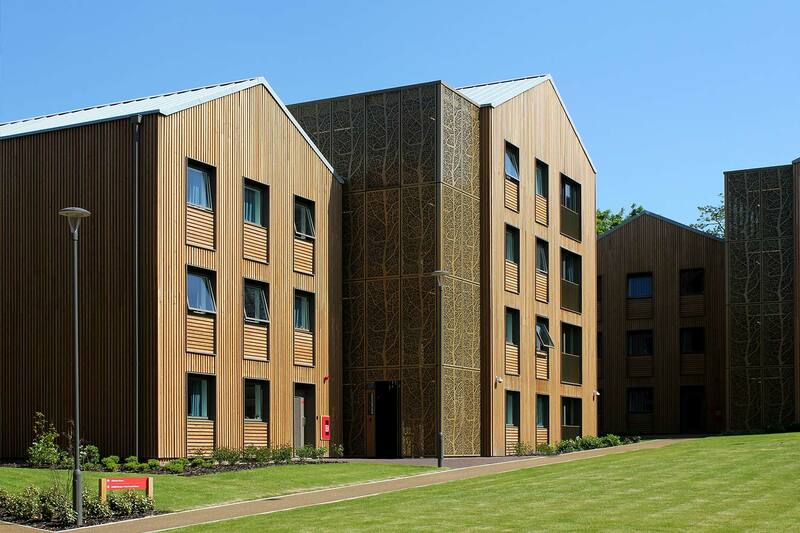 A number of items had to meet fire regulations, NORclad were able to pre apply a coating to meet “Euro Class B” spread of flame. 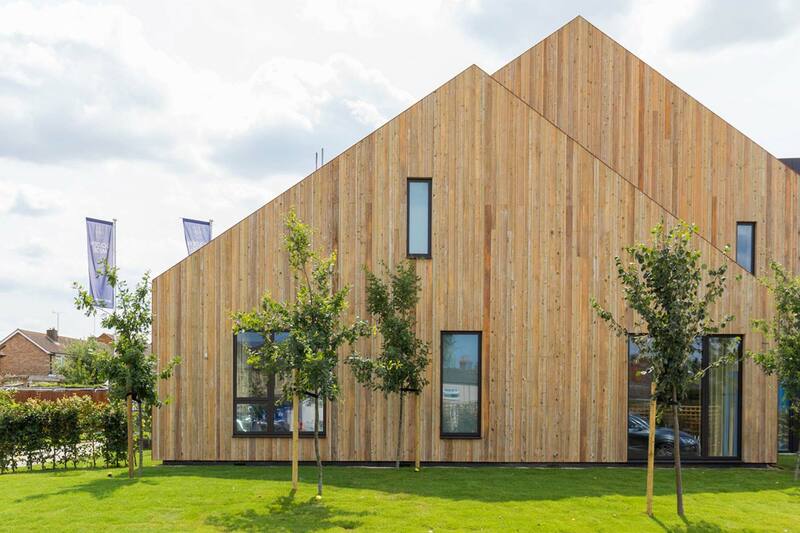 Profiles: All materials supplied to site were MicroShades ‘Brunnea’ treated ‘Unsorted Grade’ this grade allows for knots as a characteristic. 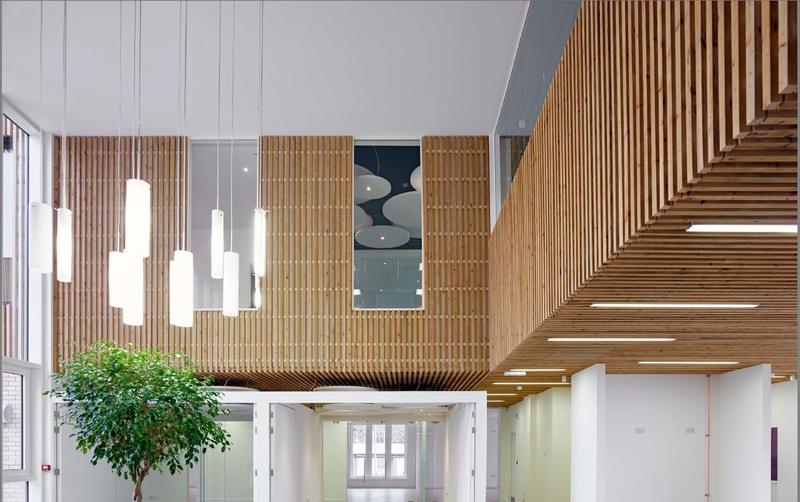 The majority (5000/LM+) of the timber supplied for this project was an Ex 50 x 50mm item that we machined to finish 45 x 45mm with a planned face, and square edges (PSE), installed with a 45/50mm gap between each board to create a shadow gap, but also allow the light to reflect around the internals of the building. 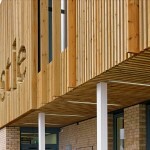 To offer contrast and allow the louvres items to be created a number of wider boards were also supplied, once again machined to PSE, Ex 50 x 150mm and Ex 50 x 200mm.